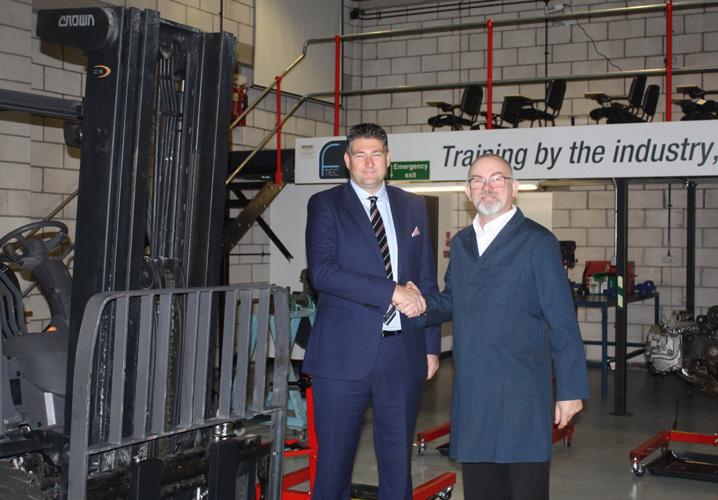 Crown has donated a counterbalance lift truck to the Forklift Training Engineering Centre (F-TEC), a dedicated training facility that offers forklift truck engineering programmes. A joint-venture of the forklift industry’s two principal trade associations, BITA (British Industrial Truck Association), and the FLTA (Fork Lift Truck Association), the training centre addresses the training needs of the forklift truck industry. It offers an extensive range of forklift engineering programmes, including apprenticeships, advanced level courses, thorough examination, diagnostics, safety, and more from its training facility in Swindon. Addressing a demand for contemporary equipment that can be worked upon by the engineering students, Crown has donated a used C-5 gas forklift to F-Tec. 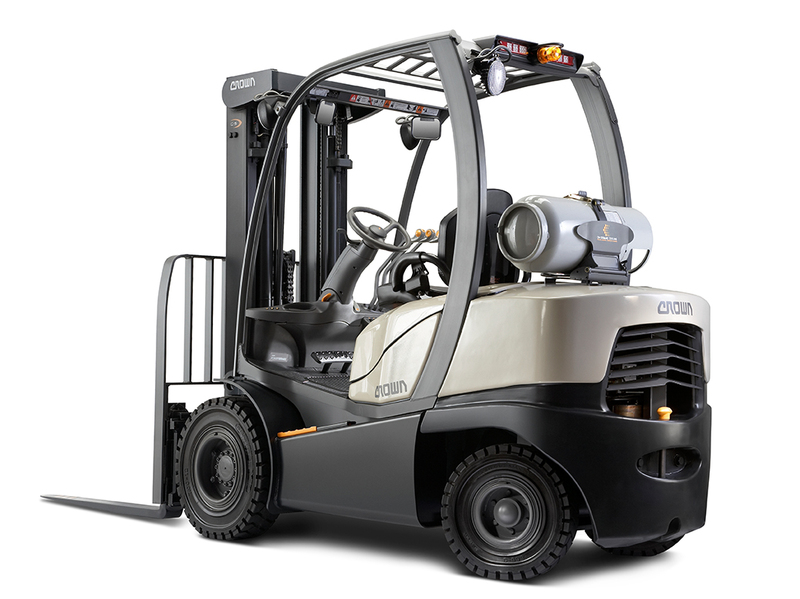 The C-5 is renowned in the forklift industry for its service-friendly design, with easy accessibility, removable side panels and generous access space. Its optional Crown Access 1 2 3® comprehensive system control provides a wealth of information about the truck’s systems to support desired levels of performance and productivity. Further, it provides an interface between the truck, operator and technician when and where needed through the display in the operator cabin, eliminating the need for a laptop. The system grants the technician access to interrogate each element of the forklift direct from the display. As a forklift manufacturer, Crown generally attaches great importance to the training of its own employees, such as engineers and service technicians, directly on the truck. The company therefore operates its own training system with its own forklift training centres: Crown’s “Demonstrated Performance Service Trainings” include interactive modules with a high practical component and take into account the individual learning speed. Crown employees are always up to date with the latest technology to ensure that Crown service technicians have the experience, tools, training and support to keep our customers up and running at maximum efficiency.